Heat up your Valentine's celebration by taking your sweetheart out to dance. 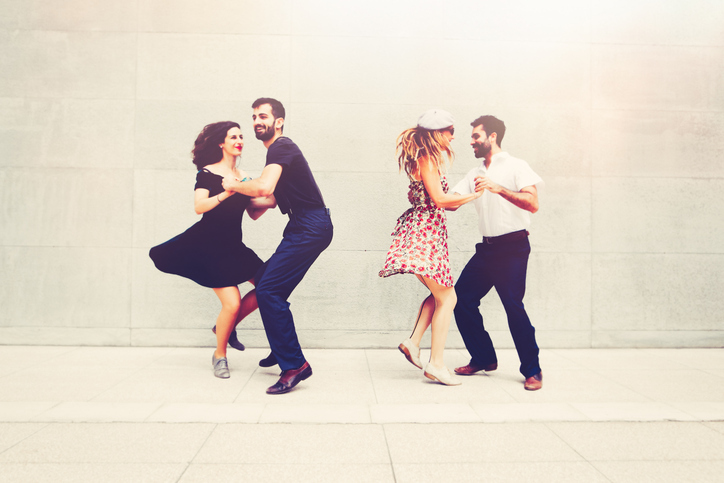 Every Wednesday night from 9 pm to 10 pm, a talented instructor at The Village Cafe will sweep you through the sweet and spicy steps that make salsa scintillating. Each award-winning, hour-long lesson offers enough time to be taught a few new moves and to practice under your guide's watchful eye. If you return the following week, you'll find each class begins with a refresher of the basics and then moves on to new material. You don't need to be an experienced dancer to attend and you don't need a partner. Consider it a blind date if you want! After the lesson, the dance floor opens to social dancing. So if you'd rather skip the lessons, plan to arrive at 10 pm and freestyle your way to a good time. For guests 21 and older, bring an ID to see the drink menu.